Collins Booksellers - The Sites of 29,999 Totally Free Fonts for Personal and Commercial Use by Hardy McDonald, 9781311800251. Buy this book online. 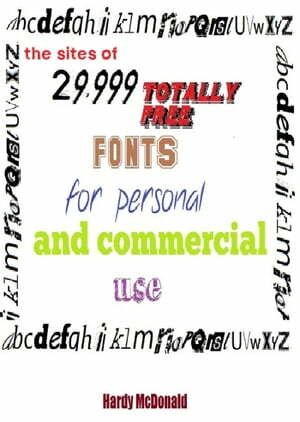 Stop fishing around for where you can find free fonts online. A quick download of this book and you&apos;ll be finding free font sites in no time. PLEASE NOTE: This is NOT a book of fonts, but a resource guide as to where to find thousands of free fonts online.